Just like on a first date when you're not sure what to talk about, doing an activity gives multiple people a common interest. Perhaps you have a Saturday to visit your mom at her assisted living community and you're bringing your kids. Take along a fun activity too. That can be anything from the ingredients to make a cherished family recipe to a pile of photographs to scrapbook together. For active families, consider bringing the dog to take a walk together or visit a dog park to play fetch and romp. Maybe your kids have special interests they can introduce to their grandma, like if your son loves drawing with chalk on the sidewalk or is a big fan of magic tricks. While doing these fun activities, your kids and mom will talk and get to know each other – creating memories that will last a life time. Video chatting is a great way to unite grandparents and grandkids who don't live locally. Not all families live close to one another. Sometimes people live in other countries and don't get the chance to visit their grandma and grandpa. Thankfully, with technology there are ways to bridge this physical gap in milliseconds. Video chatting allows people on opposite sides of the globe or the other side of town to talk to one another as if they were in the same room. This is especially helpful for seniors who have memory trouble and can benefit from seeing the speaker's face. Video conferencing can also be beneficial for individuals who are hard of hearing. Seeing facial expressions and lip movements can lead to a big improvement in your communication. Consider teaching the senior how to video chat in person or having another loved one there to manage the tech the first time or two. Today the art of the well-written letter is falling by the wayside. If you ask a senior to tell you about an important letter he or she received, you just might hear a whole list! 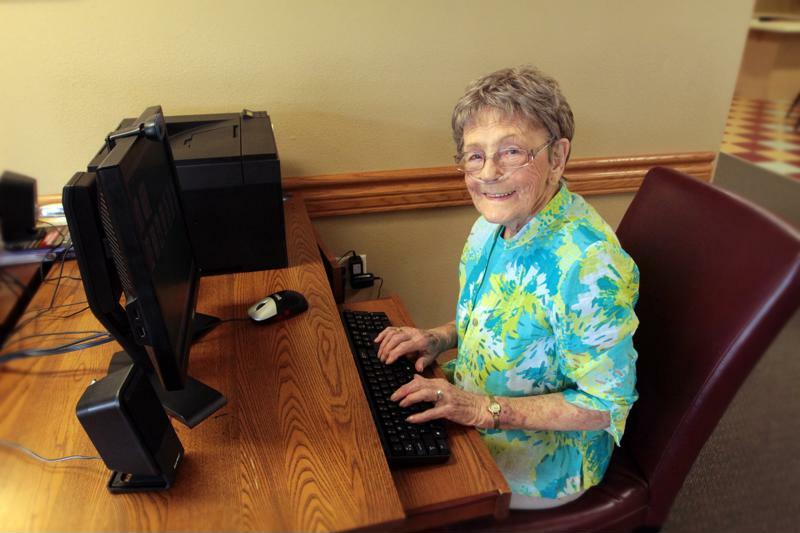 When today's seniors were young, writing letters was an integral part of communication. They would write home from college, the war or even a different town. Letters can be less intimidating than in-person conversation because you have time to think about your response. This may be appealing to little ones and grandparents alike! Encourage your kiddos to draw pictures and share stories about their day with their grandparents and then enjoy the excitement of waiting for a response in the mail. Both parties will appreciate these unique paper mementos and this great way to get to know one another.